Newark, New Jersey: Another 7-Eleven location will be built in Newark. According to public records, the new convenience store will be built in the South Ward at the southeast corner of Elizabeth Avenue and East Runyon Street, across from Dunkin' Donuts. The 2,600 square foot store is planning to hire eight employees, and there will be 11 parking spaces. It will be open 24 hours a day everyday. EJ Motors will be torn down to make way for the 7-Eleven location. According to Massey Knakal Realty Services, this area is an "emerging retail zone". 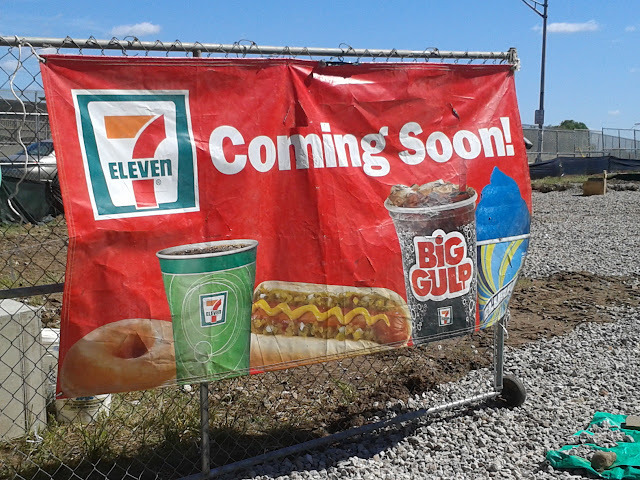 The company posted an advertisement saying that a small retail plaza is also being proposed for the site opposite Elizabeth Avenue from the 7-Eleven. 7-Eleven has expanded its Essex County presence in recent years. After having only one Newark store, located on McCarter Highway, for several years, a new 7-Eleven opened this year in the Kinney Building on Broad Street in Downtown. In addition, a new 7-Eleven will open soon in East Orange, and a location in Livingston opened earlier this year.